Does A Marriage Contract Or Co-habitation Agreement Make Sense For You? A marriage contract is simply an agreement between two people on how property and assets will be divided in the event that a marriage fails, and whether there will be spousal support payments. If there is a great disparity in wealth or income between the couple, a marriage contract makes sense because it allows for a calm discussion when everybody is happy rather fighting over every little issue if the relationship deteriorates and ends. A court is bound by the agreement unless a judge sets it aside because, for example, it violates Ontario law. 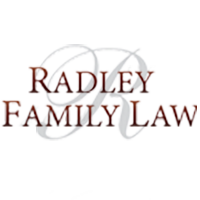 Judges rely on a marriage contract in determining support and property issues if a case comes before them, providing that the marriage contract is not blatantly one-sided. Judges have been known to set aside marriage contracts where one spouse clearly has taken a huge advantage over the other. We’ve helped happy couples draft marriage contracts that are fair to both parties, and will pass scrutiny by a judge if worst comes to worst. It’s not that we are not romantic or don’t believe in happily ever after; rather, we encourage marriage contracts because family is important to you and me.